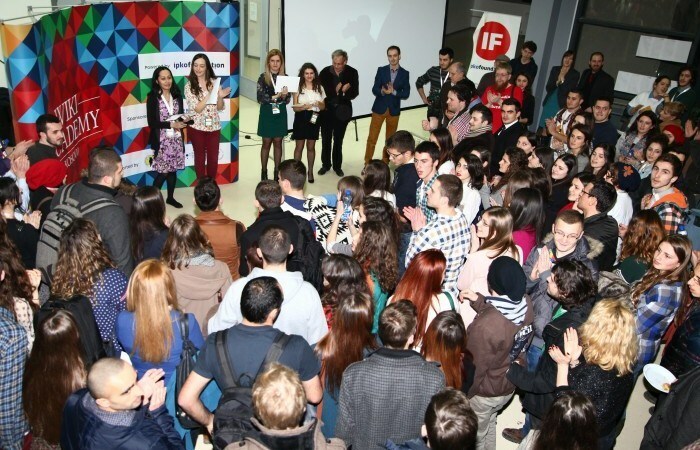 After successful accomplishment of App Camp Kosovo mission, IPKO Foundation continued its work within the Digital Diplomacy Strategy of Ministry of Foreign Affairs, with the support of British Council, and Royal Norwegian Embassy, implementing Wiki Academy Kosovo for the first time in Kosovo. The main goal of Wiki Academy Kosovo was to improve the quality and quantity of online content on Kosovo to better represent the country to the world. The Academy brought together active online citizens and content experts and helped them develop into skilled editors to write high quality articles and source high quality photos regarding Kosovo in categories such as culture, heritage, social issues, geography, institutions, economy and tourism. Around 40 articles and 1418 pictures of different subjects and fields are now published on Wikipedia. Wiki Academy Kosovo started its journey on December 2012 with a cycle of Open Houses around the main cities of Kosovo. In 17 Open Houses in the six biggest cities of Kosovo, more than 600 participants were introduced closer to the idea behind the project and also to the way they can contribute. A lot of people showed their interest to participate, but after a close evaluation only 140 were invited to compete on the Article contest, while 90 photographers had the opportunity to present their work and be part of the competition without going through selection procedure. All article contest participants gathered in Faculty of Education to complete their content during three intensive days. Participants met Wikipedia mentors and research experts from abroad and Kosovo, learned valuable research and drafting skills, and met others interested in expanding Kosovo’s reputation abroad.